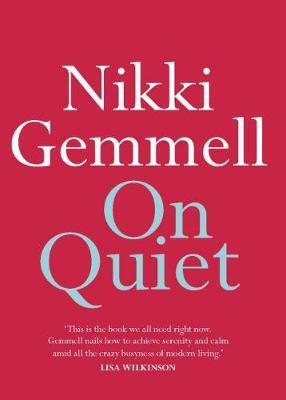 International bestselling author Nikki Gemmell writes on the power of quiet in today's shouty world. Quiet comes as a shock in these troubled times. Quietism means 'devotional contemplation and abandonment of the will ... a calm acceptance of things as they are'. Gemmell makes the case for why quiet is steadily gaining ground in this noisy age- Why we need it now more than ever. How to glean quiet, hold on to it, and work within it.